Alkane Energy plc, one of the UK's fastest growing independent power generators, has submitted a planning application that would allow it to drill into the previous coal mine workings in the Dearne Valley in the search of a potential energy source. 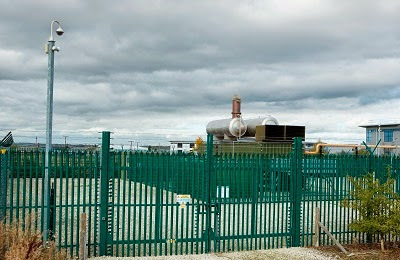 Regent Park Energy Limited, previously called Green Park Energy before it was acquired by Alkane in 2012, operates Manvers Energy Park off Golden Smithies Lane at Swinton, where energy is generated from coal mine methane (CMM). As a power response site, electricity is produced at times of high electrical demand through peak running, or in order to balance the electricity grid through participation in the National Grid's short term operating reserve programme (STOR). Now, the applicants are hoping to tap into another energy source by assessing if heat can be recovered from minewater to heat nearby buildings. Ground source heat pumps are increasingly being considered as a means to provide heating and cooling for buildings. Technology allows the upgrade of ambient heat from the ground (in this case minewater) to high-temperature heat suitable for space heating. Abandoned mine voids, at depth, often contain relatively warm water, which is typically at between 12º C to 20º C.
The water is pumped from underground and used in heat exchangers and heat pumps, which will be able to operate at significantly higher efficiencies than would normally be the case with a variable heat source. The water is returned cooler to the mine workings at another point. 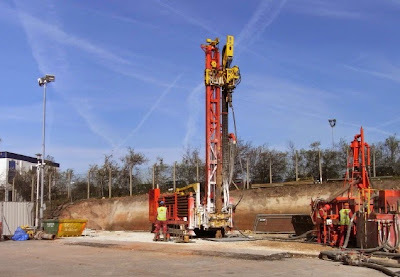 Planning permission is being sought to drill a temporary water abstraction borehole into the coal mine workings of the Meltonfield Seam, the base of which is around 110m deep. Controlled abstraction and evaluation for ground source heating / cooling purposes would be carried out over a three year period and consideration is being given to the possible future utilisation of ground source heat pumps from minewater in the adjacent commercial buildings. A similar scheme operates at Alkane's site at the former Markham Colliery where minewater is extracted and used to heat part of an adjacent depot building at Markham Vale. The land is adjacent to the existing Maltby Energy Park and is within the Green Belt. Alkane Energy is one of the UK's largest independent power producers providing both base load generation from coal mine methane and a network of peak pricing power response assets using bought in natural gas. Output has increased to 195GWh in 2014 which is enough to supply circa 75,000 homes. The Mansfield firm paid £7.5m to buy CMM assets at the former Maltby Colliery in Rotherham from operators Hargreaves Services. Energy from the assets could be generated for an estimated period of up to 15 years. In June 2014 Alkane transferred its shale gas interests to Egdon Resources plc. It received 40 million Egdon shares making it the largest shareholder in Egdon, the UK's third largest shale operator. Alkane's pre-tax profit for the year to December 31 2014 rose to £3.2m from £2.6m a year earlier. Revenues fell by 22% to £16m.